WWI Recruitment Poster. A WWI recruitment poster highlighting male exclusivity with a woman.. Wallpaper and background images in the Feminism club tagged: military sexism wwi. 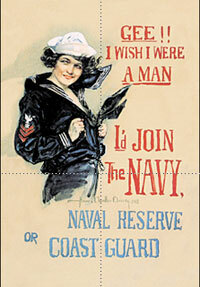 A WWI recruitment poster highlighting male exclusivity with a woman.